Biking, fishing, swimming, canyoneering... there are great activities in Zion and St. George for kids and families, so make sure to bring them along, ready to experience some of Zion's greatest sights. 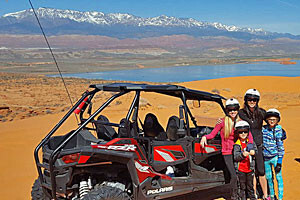 Bring the kids to be part of our guided Van tours or ATV tours of the wide open spaces near Zion National Park. They love exploring the roads and trails. 1 hour or 1/2 day horseback rides through Zion National Park. Ages 7 and up! Mechanized outdoor adventure is our specialty. Ride from our shop to the dunes and Warner Valley or ask for a guided tour. Rated number one attraction by TripAdvisor. Take a different route! Mountain and road biking for everyone and every level. Experienced guides helping you every step of the way! PRIVATE ATV AND JEEP TOURS! Our focus is on providing a friendly, fun personalized tour experience for couples, small groups, life partners, and families alike. Zion Helicopters offers breathtaking views of Zion National Park, Red Cliffs Desert Reserve, and many other beautiful parks and attractions that Southern Utah has to offer. Take the kids on a hike to a waterfall, where they can jump in for a swim. St. George has a large trail system for both hiking and biking. Between the mountain streams and reservoirs, fishing is a popular activity for kids in the area. 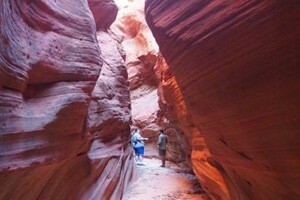 Take kids on an amazing (and safe) canyoneering adventure in the park. There are great places in Zion and St. George for kids and adults alike to enjoy their vacation. There is an extensive trail system around town, plus many state and national parks catering to different recreation activities. Particularly in a park as historical as Zion, kids can benefit from the personalized attention possible with guides, and the structure of a tour. Let a company do the work for you by arranging everything necessary for a great experience in southern Utah. 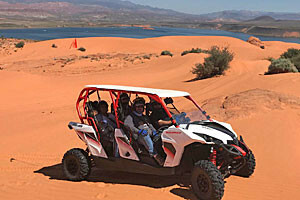 With its extensive trail system around St. George, Utah, kids have the chance to get out and ride through desert bluffs and canyons, around sagebrush and other natural wonders of the area. Just rent some bikes and take off for a family outing! Quail Creek Reservoir, Kolob Reservoir and many others are placed in the surrounding area, often well-stocked with trout and other species. Fly fishing is another great option, to help teach kids the importance of 10 o'clock and 2 o'clock. Both Zion National Park, Dixie National Forest and the state parks have a wide variety of trails, many of which are perfect for kids. Hikes under a few miles are appropriate for even the youngest of visitors, while a short backpacking trip could be great for teenagers. Companies are very familiar with accommodating kids' needs, which generally means mules or ponies. Don't worry, though, the companies make sure they are the nicest, easiest-to-handle mounts in the stable. And in the end, kids simply love riding horses! While not possible for the youngest members of the family, most adventure companies have tours appropriate for children ages five and older, so there no excuse not to get out for a little adventure in the Zion Canyon! Scaling a solid wall of rock is a kid's dream, so why not let them give it a try in a safe environment, under professional supervision. 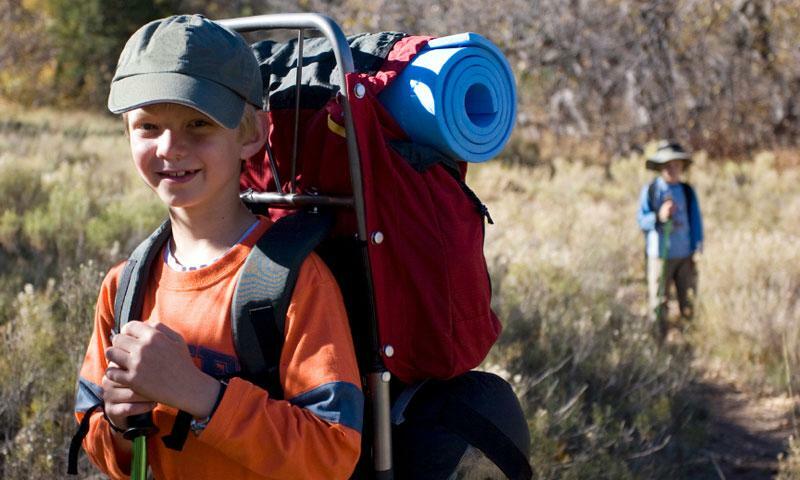 Adventure outfitters have excursions for families with kids as young as five years old. ATVs and off-road vehicles can only be operated by adults over 16 years old. However, kids can come along in a Rhino, a two or four person side-by-side ATV with rollbars and bucket seats. Give them the motorsport experience without the danger or responsibility. In St. George, kids can learn a great deal from the museums in the area, many of which have specific areas that are focused on educating and entertaining their younger visitors.